There are six books currently in publication, with over 110,000 copies in circulation. The grid below shows the front cover of each. Each cover image contains a link to a page with additional information specific to that book. Comments and questions can be posted on the page of each individual book. Discussion is encouraged. 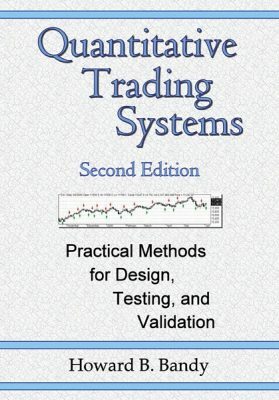 Quantitative Trading Systems was originally published in 2007, revised Second Edition in 2011. 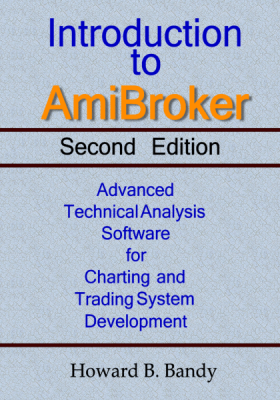 Introduction to AmiBroker, Second Edition, was published in 2012. 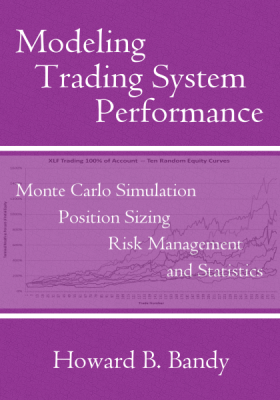 Modeling Trading System Performance was published in 2011. 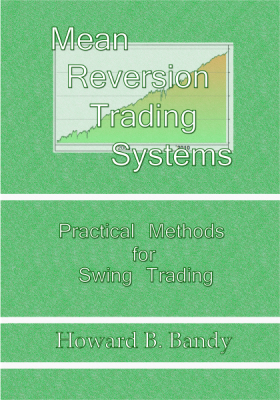 Mean Reversion Trading Systems was published in 2013, revised in 2015. 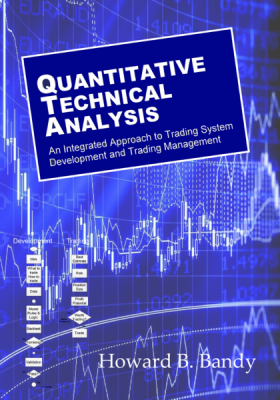 Quantitative Technical Analysis was published in 2015. Foundations of Trading was published in 2016. Before buying any of the books, please read the free sample sections from the webpage of each book. You can read additional portions on the Amazon pages using the “Look Inside” feature. If you are already familiar with trading system development, want to study the techniques I recommend, and are interested in using machine learning for trading, these first two books will be most valuable to you. Quantitative Technical Analysis is my most recent major work. It consolidates much of the material presented in my earlier books, my live and video presentations, workshops, interviews, forum postings, and blog postings. It shows the relationship between development using a traditional platform (illustrated using AmiBroker) and a general purpose language (using Python). It introduces use of machine learning for trading using Python and the SciKit-Learn library. The metrics — safe-f and CAR25 — are explained in detail and shown to be dominant metrics when used as objective functions. Foundations of Trading was intended to be the “Cliff’s Notes” of Quantitative Technical Analysis — a summarization of the development concepts in a low cost publication. Introduction to AmiBroker. If you are new to trading system development and want to begin with the AmiBroker trading system development platform, download the free Introduction to AmiBroker. While it is a little dated, it outlines the procedure to install the AmiBroker platform, set up some data files, display charts, write formulas, and test systems. It contains an introduction to the afl programming language used by AmiBroker. Quantitative Trading Systems discusses trading system development from the perspective of a traditional trading system development platform. It uses the AmiBroker platform exclusively. Mean Reversion Trading Systems focuses on trading systems where the entry is made when price is unusually distant from the recent mean and is likely to return to normal. It uses the AmiBroker platform exclusively. Modeling Trading System Performance is the first full discussion of the several aspects of risk, including personal risk tolerance, quantification of risk, determination of maximum safe position size (safe-f), and estimation of profit potential (CAR25). It uses any set of trades obtained from any source, with analysis using Excel. It does not use any specific trading system development platform. 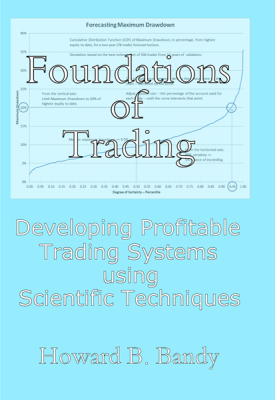 The changes in the material through the sequence of books reflect the changes in the tools available for development of trading systems, and the techniques for applying them. Resolve inconsistencies among the material in favor of the most recent. You can read sections of each book in the downloadable pdf files available on each book’s website. And you can read additional material using the “Look Inside” feature on each book’s Amazon page. Please do read enough before buying a copy to understand what is included and what is not.